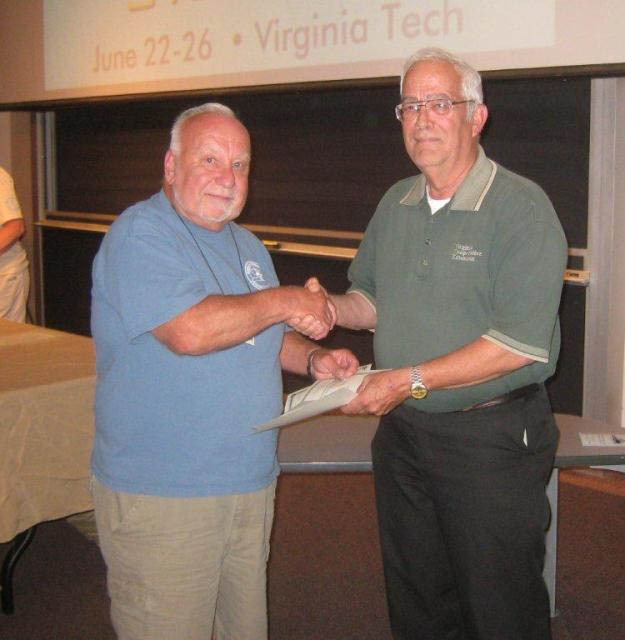 Southside Master Gardener Pat Coughlin achieved 500 volunteer hours and was given the 500 Hour Volunteer Service Award at the 24th Virginia Master Gardener College in Blacksburg. Pictured is Coughlin accepting the award from Master Gardener Coordinator Bill McCaleb. Coughlin was also awarded the Diane Relf Scholarship to attend Master Gardener College. If you love to garden or want to learn how to be a gardener and are interested in learning more about the Master Gardener program contact Bill McCaleb at the Halifax Extension Office at 434-476-2147.